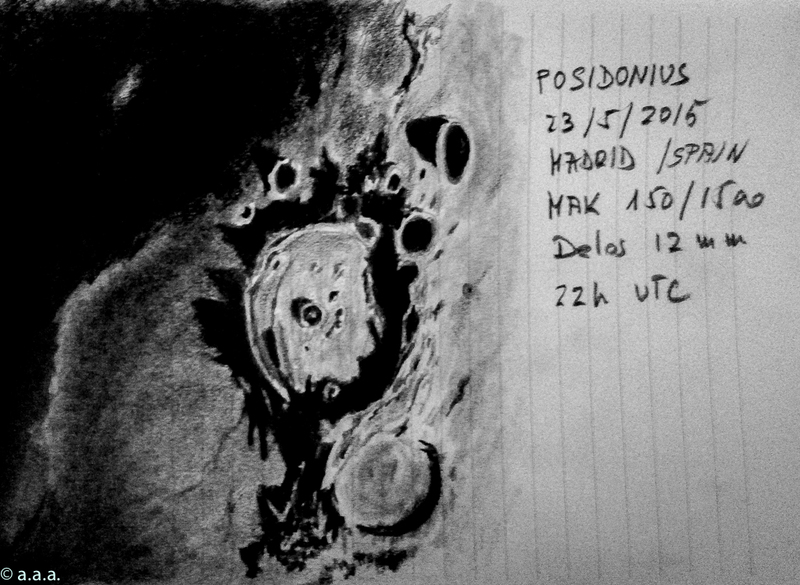 This sketch is simply spectacular, and created an abysmal depth in those lunar details, looks like we will fall within those craters. Very striking sketch, it jumps right out of the paper at you. This is an excellent sketch of Posidonius. Your rendering is rich with shadow contrast and a real eyepiece view.